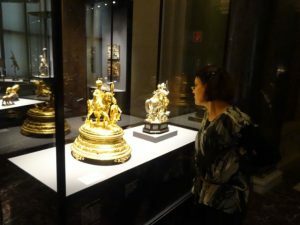 Several of you have commented on the gold covered treasures of the Kunst, but little would you know that one full room was mechanical automatons! 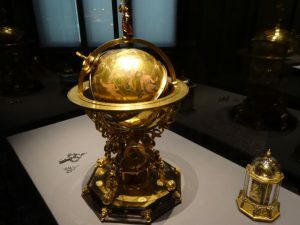 Music boxes, clocks, and mechanical toys of detail beyond belief. 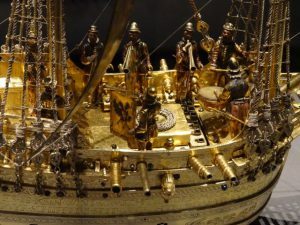 I was especially fascinated with the golden ship with wind-up power – moves itself, has drummers and flute players and at the end shoots off its cannons. Please enjoy the video below (and several more of other items can be found here).